BUDAPEST and WARSAW, August 07, 2018 – Central Group, a leading Hungarian investment group, today announced that it has agreed to acquire Wydawnictwa Szkolne i Pedagogiczne S.A. (“WSiP”), one of Poland’s largest and most innovative educational services providers, from Advent International. This acquisition is an important part of Central Group’s Central and Eastern European regional investment strategy. WSiP is well known for providing high quality services and solutions to the Polish educational system, leveraging its 70 years heritage in the market. 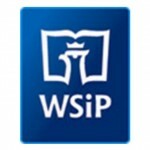 Advent acquired WSiP in February 2010 and with its support, the company has gone through a major phase of business transformation. The company has evolved from a textbook publisher to a leading comprehensive educational services provider following the launch of tutoring services, self-learning, digital products and teacher’s solutions in recent years. WSiP now provides a range of comprehensive solutions and educational services, in all areas of school-, and non-school education. It is present at all levels of the educational system for children aged 3 to 18 years old as well as in the vocational segment. Central Group, is a Hungarian-based strategic investor, with experience of investing in a broad range of industries, including the media, book publishing, education, health care innovation, manufacturing, aviation and real estate management industries. Of particular relevance to WSiP is the fact that Central Group currently owns the leading publisher of online and print magazines, which reaches almost 2/3rds of Hungary’s population. Its media portfolio includes the most popular and entertaining, educational and lifestyle magazine brands and digital products. Central Group has also invested in the book publishing market and it currently publishes 600 book titles in Hungary, including classics such as Harry Potter, a range of Scandinavian crime stories and children’s books. In 2018, Central rethought and extended its publisher value chain by investing in one of the biggest and most innovative printing houses in Hungary. Leveraging this expertise, Central Group will partner with WSiP, to sustain its successful business model and create value in the Polish publishing and media market. The transaction is subject to Polish competition authority clearance (UOKiK). Advent International is one of the largest and most experienced global private equity investors. The firm has invested in over 340 private equity transactions in 41 countries and as of 31 March 2018 it had €33 billion in assets under management. With offices on four continents, Advent has established a globally integrated team of over 190 investment professionals across North America, Europe, Latin America and Asia. The firm focuses on investments in five core sectors: including business and financial services, healthcare, industrial, retail, consumer and leisure, and technology, media and telecom. After more than 30 years dedicated to international investing, Advent remains committed to partnering with management teams to deliver sustained revenue and earnings growth for its portfolio companies. Central Group is a leading Hungarian strategic investor. It has investments in the media industry, book publishing, education, health care innovation, manufacturing, aviation industry, factoring, and real estate management since 2004. The assumed value of the managed investment portfolio is over €250 million. Since 2016, Central Group is a strategic investor in the Polish MVNO called PremiumMobile in partnership with entities controlled by Mr. Zygmunt Solorz. The innovative market challenger strategy of PremiumMobile led the company to be the fastest growing operator in the Polish Market in 2017 and 2018. In its domestic market Central Group owns the leading publisher of online and print magazines reaching almost 2/3 of the population. Its media portfolio includes the most popular and entertaining, educational and lifestyle magazine brands and digital products. Since its start Central Group has been investing in the book publishing market as well. Central runs 600 book titles all together in Hungary like the Harry Potter books, Scandinavian crime stories and children’s books. In 2018, Central rethought and extended its publisher value chain by investing in one of the biggest and most innovative printing houses in Hungary. Wydawnictwa Szkolne i Pedagogiczne S.A. (“WSiP”) is a market leader in the educational services sector in Poland. It is present at all levels of the educational system for children aged 3 to 18 years old as well as in the vocational segment including lifelong learning. It currently offers learning methods across the entire curriculum via traditional as well as e-learning products and services. WSiP’s portfolio also includes group tutoring and teachers’ training under brands of Profi, Empik Schools and ORKE as well as B2C educational services such as digital self-learning or online assessments under brands of Zielona Sowa and Zdasz.to.